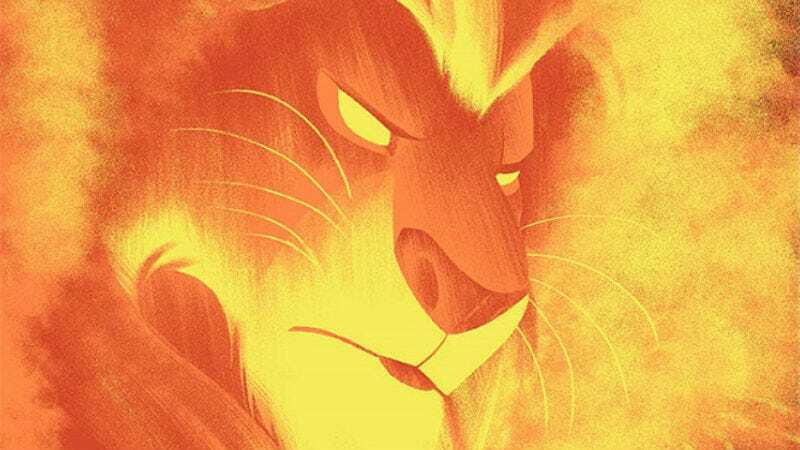 Disney’s masterpiece The Lion King is getting a brand new Blu-ray release tomorrow, and to celebrate, Cyclops Print Works has put together a beautiful piece of artwork. Cyclops had artist Mark Englert create a print called “Remember Who You Are,” a 12 x 36 inch, 11-color serigraph in an edition of 300. It’ll go on sale at noon PST on August 29. The colors and finishes in the print really give it an otherworldly feeling. That’s not something usually associated with The Lion King, but it certainly works for this scene in particular, when Simba interacts with the memory of his father, Mufasa. Disney fans will want to take note of a few other Cyclops Print Works releases that’ll also be made available at the same time (tomorrow, noon PST). First is this Hercules print, also by Englert, as well as these two pieces by legendary artist Alex Ross. Each are limited editions of 250 that first went on sale at the D23 Expo last month. More information and the sale pages can be found at CyclopsPrintWorks.com.